Turn signals are a vital part on the non-verbal communication that goes on between you and the drivers around you. It is important that your turn signals are fully functional at all times for your safety and the safety of others. 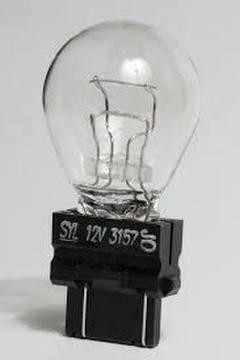 If your turn signal is not working there may be a very simple solution, a burnt bulb. If you have just one turn signal that is out, then you can likely repair that issue for a very small expense and a few moments of your time. Changing out a turn signal bulb is quick and easy. It simply involves removing the burnt light bulb and replacing it with a new one. Replacement bulbs can be purchased at automotive stores or through your local dealership’s service department. Know the signs of a failing turn signal bulb, so you know whether or not you are looking at needing a replacement bulb. Eventually the light bulbs around your car will fail. Most modern vehicles will have some way of indicating to the driver that there is a turn signal out. This may be a quick blinking turn signal indicator on your dashboard, a louder clicking, the turn signal indicator staying illuminating and not flashing, or a warning light. Turn on the blinkers and walk around the vehicle to see which light bulbs are to blame. Most burnt bulbs are easy to identify simply by visually inspecting them. If the filament of the bulb is blackened, then chances are the bulb got too hot or wore out. There are other reasons a bulb may fail that may not show any indications of physical damages. Once you have located the bulb that has failed, you will need to remove it from the fixture. This will likely be done from the back of the light fixture. You can get to the back from under the hood in the front or from the trunk in the back. Release the clip or rotate the back of the bulb’s connector from the back of the fixture. Once you have the bulb removed from the fixture, you can disconnect it from its wiring terminal. Take your old bulb and new bulb, and ensure that they have the same code and are indeed the same part. Use a soft cloth to hold the new bulb and press it into the wiring terminal. This helps to protect the bulb from excess pressure on the glass as well as from the oils on your hands that can cause the bulb to burn out prematurely. Clip in or screw in the new bulb back into the headlight or taillight. Test your new turn signal. Keep in mind that LED turn signals on new models may be a little different. LEDs also typically last longer than traditional bulbs, and a premature failure may need more inspection to find out what caused that LED to fail. If this is the case, you may want to seek professional help from your local Southern California Ford Dealer. Maintaining properly working turn signals is not only an important safety concern, but it is also a legal issue. If you are caught with a turn signal that does not work, you can be cited for not properly maintaining your vehicle. While most officers won’t make a huge fuss over the issue, it’s a delay you do not want in your day. For more help, contact your local Southern California Ford Dealers for information on changing out light bulbs and other car services.